With advancements in technology related with eye care, the use of spectacles have reduced to a considerable extent. More and more people are going for contact lenses. The major reason behind wearing contact lenses are aesthetic. At MMRV Hospital, Chennai, we make use of highly advanced contact lens technology that not only enhances appearance of a person but also his or her visual acuity. Completing many visual tasks becomes easier and performance improves to a considerable extent. Contact lenses are basically medical devices. These devices are placed as per careful instructions. When wearing contact lenses, one need to take conscientious care of the lenses and his or her eyes. One must also visit for follow-up examinations so as to ensure healthy eyes functioning. In order to ensure the success of contact lens, it is important to familiarize oneself with the proper procedures of putting and removing contact lens. 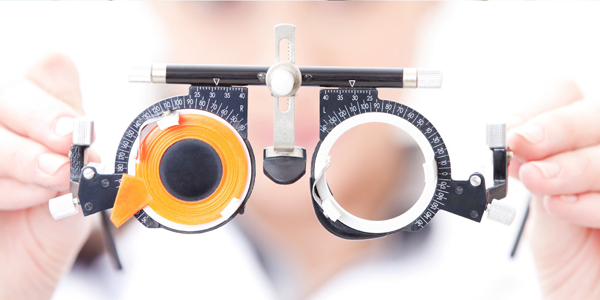 MMRV Hospital is well-equipped with specialized equipment and examination instruments that help the experts to offer quality care and correct lens number to the patients. Using these instruments, it is possible to take correct ocular measurements. At MMRV Hospital, we promote the use of these lenses for patients who are eligible for the same. We also indulge in training and teaching patients about the use of contact lenses. Visit our eye department today to find out more details.